A spark of pro-democracy protest – almost unnoticed in parts of ‘The West’ – appeared in Tunisia last month and has now turned into a fire of potentially historic proportions reaching across North Africa into the Middle East. 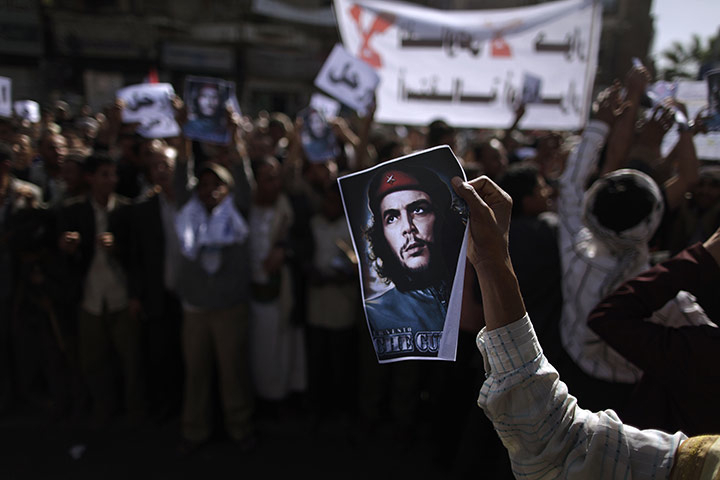 The great Arab democratic revolt overthrew the governments of Tunisia and Egypt and now threatens the established regimes of Bahrain, Yemen and Libya while doubtless causing anxious glances from other states in the region, perhaps most notably Iran. It’s impossible to say how this will end and how much blood will continue to be spilled by totalitarian regimes such as Gaddafi’s in Libya, but this passage of history bears a striking resemblance to the collapse of Soviet Communism in Europe in the last months of the 1980s. In that case a similar domino effect was witnessed as the supressed and impoverished people of each Eastern European state felt able to draw strength and confidence from neighbouring states who had risen up against the old order. Europe changed forever in the space of a few short months. It was a fascinating period of twentieth century history, and it was a privilege to be alive during such a time of immense change. There is a similar feel to events in the Arab world at the moment, although the factors causing change are quite different from those which were at play in Europe twenty-two years ago. On the face of it, nationalism appears to be less of a factor in the Arab uprisings as Middle Eastern peoples have always had less regard for lines on a map than their European counterparts. In addition the Cold War backdrop of a chessboard for the Superpowers doesn’t apply in the Arab nations, at least not to the extent that it did in post-War Germany and the nations surrounding it. The common factors, of course, are repression and economic suffering. A class of people have found the strength to articulate their strong view that their economic hardship should no longer be taken for granted and that they should have the democratic freedom to do what they can to put that right. I applaud the courage of those who live in political systems I can barely imagine who have taken to the streets to give voice to, in some cases, hundreds of years of simmering resentment. I hope that the Arab states can find their solutions, free if at all possible from Western interference, and that people will not have to keep dying in the pursuit of democracy. History is being written across North Africa and the Middle East, and it’s probably about time too.